Franziskaner Hefe-Weissbier Dunkel “The sensual baroque appearance from Bavaria”. Deep and dark colored, cloudy with yeast. Brewed with a darker roasted malt which adds some maltiness to the refreshing flavour of the Hefe-Weissbier. Interesting fact: depending on the type of malt used in the production of beer, its color may be slightly different, although most often it has a dark brown color. 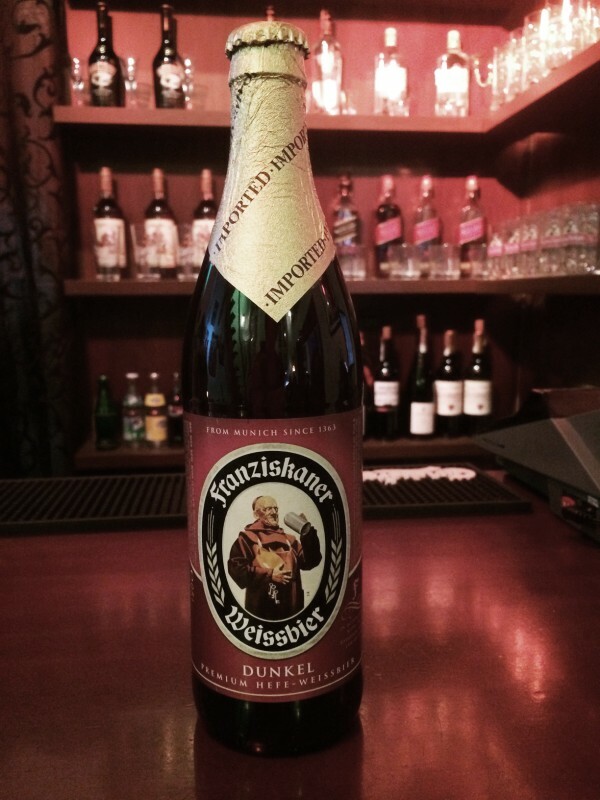 Franziskaner Hefe-Weissbier Dunkel has somewhat unusual taste: caramel, floral and banana, with a barely perceptible kvass acidity, whereas aftertaste, similar to light Hefe-Weissbier Naturtrub, is pronounced, with hints of bread. A distinctive feature of dark Franziskaner is the abundance of dense and stable foam that also became a kind of a quality mark.